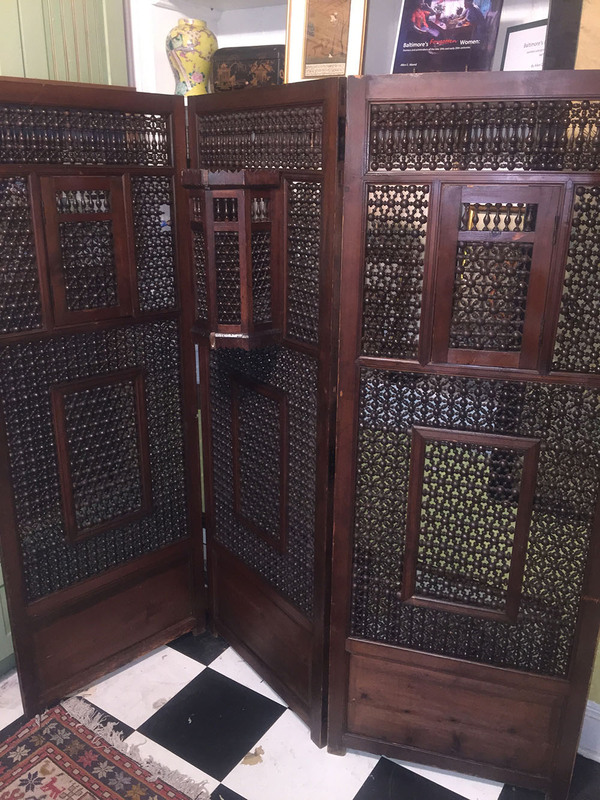 Antique teak wood 3-panel Egyptian Mashrabiya Folding Screen. 5 1/2″ height. Minor losses and repairs commensurate with age.